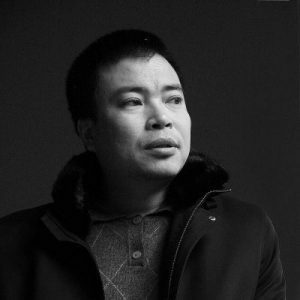 Established Chinese contemporary sculptor & Installation artist Li Zhanyang is a hot property among the most famous art collectors. 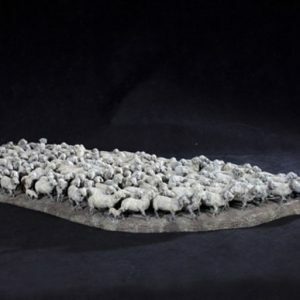 Li Zhanyang achieved great commercial success and is one of contemporary installation art’s biggest names in the market, having created some of the most magnificent & memorable installation & sculpture works. 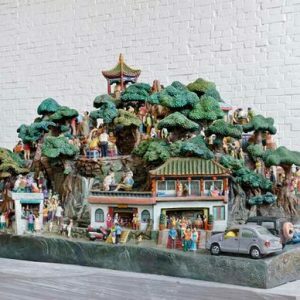 Li Zhanyang’s sculptures are like 3D video grabs of life in his city’s teeming streets. 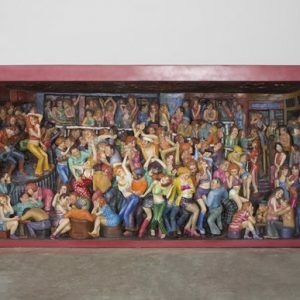 “My works are created to tell stories,” he says—rollicking stories of thieves and prostitutes, cops and drunks. 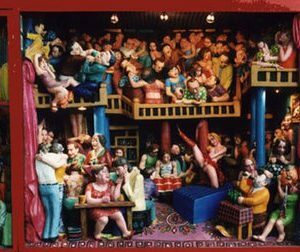 He has been drawn to crowds since he was a child; his first painting, done at age thirteen, was of a food market. 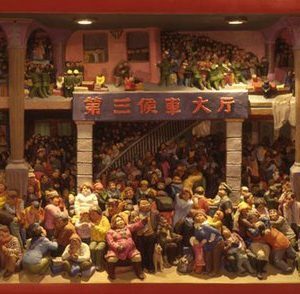 Moving to the big city in his late twenties, Li Zhanyang would spend hours in louche bars, seeing “whatever there was to see”, then go home and sculpt the scenes from memory. 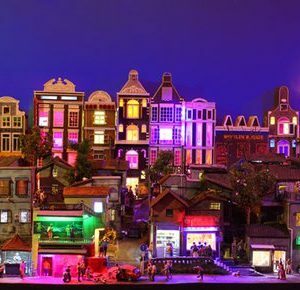 He went on to recreate gambling dens, railway stations, brothels and bus stops. 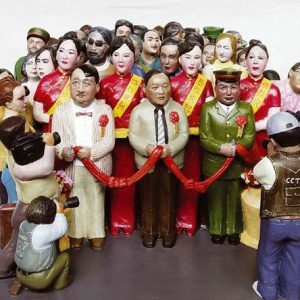 Once, Chinese sculptures had to be monumental, heavy with political messages. 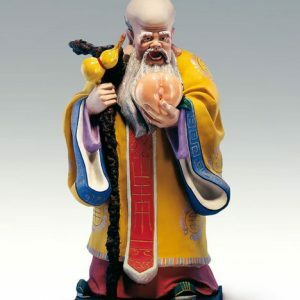 Li Zhanyang’s work is happily trivial and frequently vulgar.He incorporates events from folktales, rendering them as contemporary events, the kind of thing seen every night on China’s TV news. 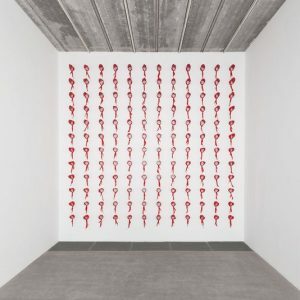 If one scrutinizes the current relationship between art and reality—as viewed from the vantage point of contemporary art history—one may discern a noteworthy trend: In the belief that modernism somehow enables them to peer into the wellsprings of verity and reality, many artists are striving to project art directly onto “reality”. 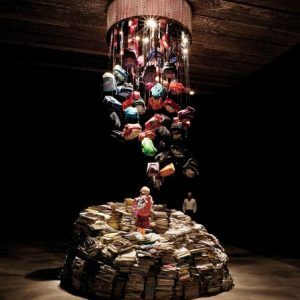 The function of art is adopting a natural tendency to mirror history as it appears when cast against the backdrop of reality. Consequently, a close link between modernist history and social crises becomes an inescapable concomitant to Chinese history. 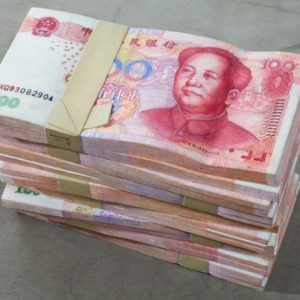 Since the advent of the policy of opening up and reform, our transitioning society has unleashed an abundance of complications into China’s own backyard reality. These in turn provide a rich vein of resources for avant-garde Chinese artists to mine, resources that ultimately trace their source to diverging worldviews. This is one reason why this artistic genre has attained such a unique appeal. The contrast between dreams and reality is huge, and casts a lingering shadow, one that is not easy to dispel. Li Zhanyang has to seek sole recourse in an artistic approach to tackle this question—this appeal—even seeking a haven in delirium in order to obtain just a cold crumb of comfort. Or perhaps this is just the grin-and-bear it resistance of that which is styled the art method when squaring up to the sheer immensity of reality. 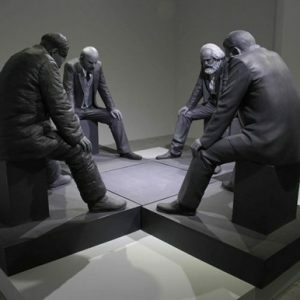 This departure from one’s own cultural context to come nearer to the yearning for a method of creating reality must nevertheless shoulder a responsibility towards posterity to truly reflect upon the reality it captures, and so this also represents an obligation in the purest sense that an artist is bound to assume. Originaire-Installation Exhibition, De Shan Art Gallery, Beijing, China.